Devon is high up on the Christie travel wish list. Every year we say we will spend a week or two down on the South West coast, but never get there. I think it must be a Northern thing the journey is epic. Which in itself is crazy, as we would think nothing of flying half way across the world. 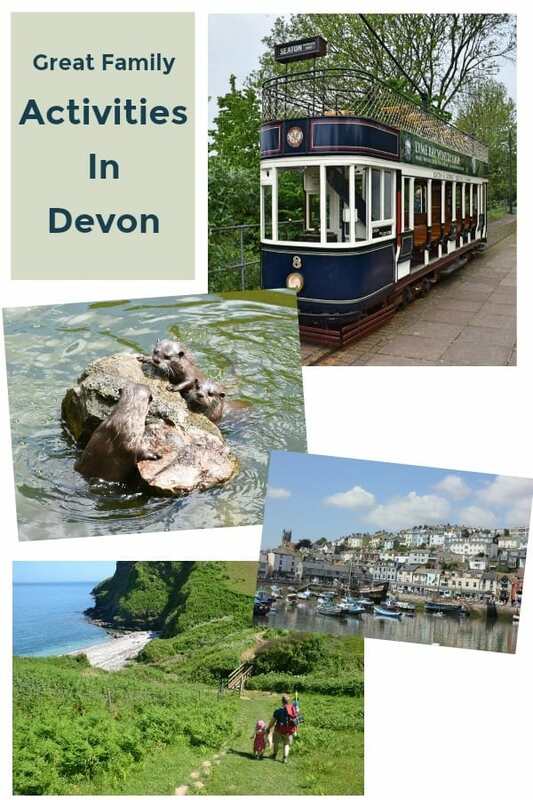 Tips For Visiting Devon And some suggestions of where to visit. The way forward will be to book a cottage as a base and stop somewhere along the way. I mean come on, is it really that far? Or is it more the thought of the journey? I suspect the latter, which is something we really must remedy. And it’s that time of year, when I am behind with Christmas, our calendar is jam-packed full for the next couple of weeks. So I do what one does when they are mega busy and should be thinking of organisation. I think about getting away from it all, of beaches, cozy cottages, log fires or lazy sunny days. Clearly my coping mechanism is to think about travel. So please, indulge me, lets just step away from Christmas a little while. And let me think about holidays in snowy cottages or on beaches in the sunshine! Asking the help of a few friends to offer me a little inspiration of great places to see and do when we do finally visit. As I am sure that inspiration is the key to finally taking the step of booking that trip. It’s all about finding exciting family adventures and beautiful places to visit with maybe a great spa and restaurant to give us a varied trip and experience. 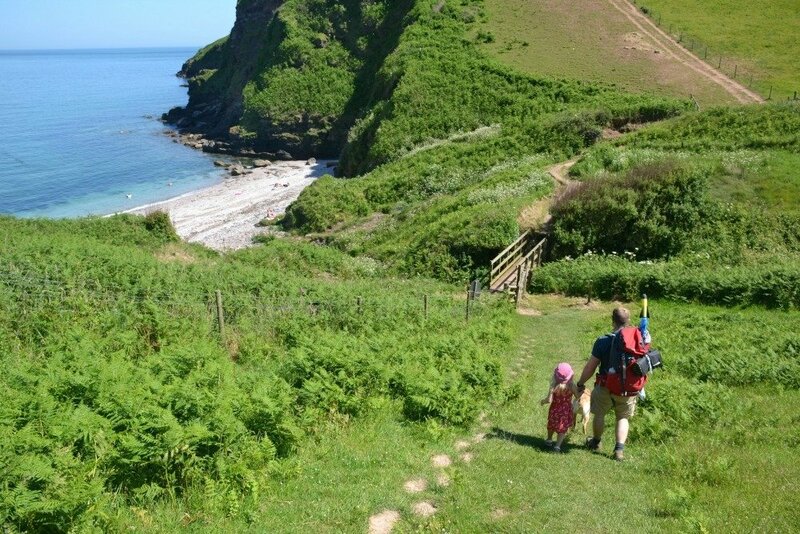 So when Marsden Devon Cottages asked me what my ideal Devon Holiday would look like, I asked the experts, family travel bloggers that frequently visit the region, who are able to give me the best tips and advice for family activities. Best Hidden Beaches The first thing that comes to mind when think of Devon is beaches and surfing. However I imagine the beaches will be buzzing and full of atmosphere. Claire has shared a great post on where to find the best-hidden beaches. My favourite of her picks is Scabbacombe Sands in Brixham. It looks utterly idyllic, the perfect place to take a picnic and spend a couple of tranquil hours. 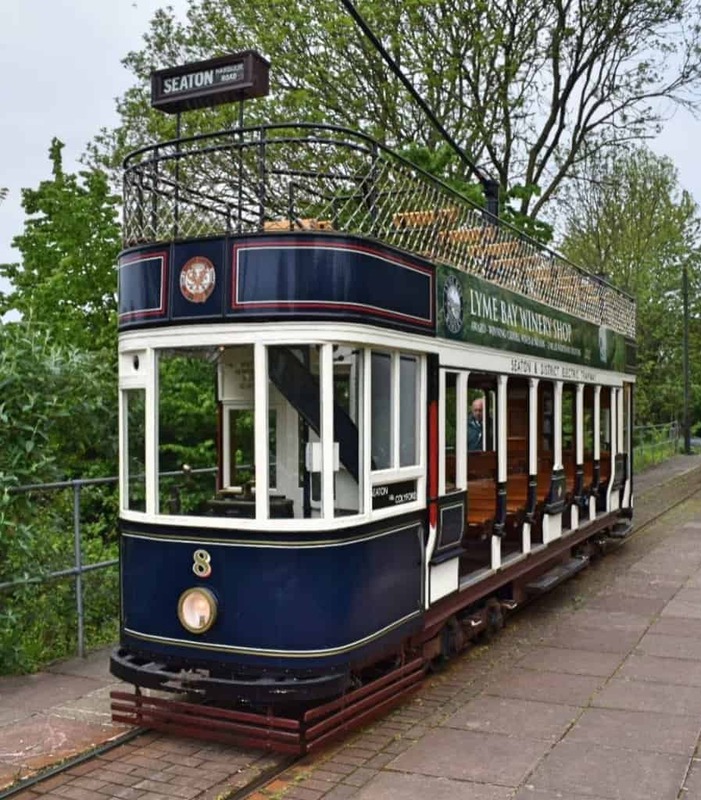 Daisy from Dais Like These suggests that Seaton Tramway is a great place to visit with the family. The Seaton Tramway runs between the seaside town of Seaton, Colyford and Colyton in the breathtaking Axe Valley in East Devon. If you love all things vintage then this is a must activity and such an adventure for kids of all ages. Trish from Mums gone to recommends Buckfast Abbey Originally founded as a Benedictine monastery, Buckfast Abbey offers a simply gorgeous interior with spectacular stonework and stained glass windows. It is also worth mentioning the sensory and lavender gardens that promise exquisite aromas as you wander through. Golden Hind has the potential to be an exciting adventure. Cathy from Mummy Travels shares a great post about this replica Elizabethan ship. Docked in Brixham harbour the ship is a living museum highlighting what life was like on the high seas for Sir Francis Drake and his crew who travelled over 40,000 miles in this vessel. The original ship left Plymouth in December 1577, and returned after 1,020 days at sea in September 26, 1580. Katie from Otis and Us told me that WildWood Escot is a great family friendly day out in Devon based in a wonderful woodland park setting. 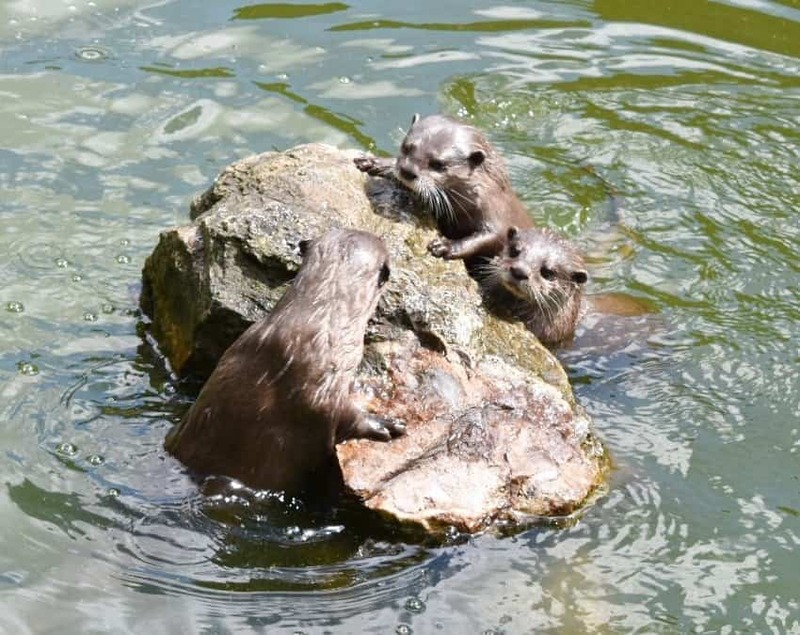 Where you can expect to see wolves, wild cats, wild boar, birds of prey, short-clawed otters, and red squirrels. Alongside woodland nature trails, indoor soft play, and an outdoor adventure playground, a maze, and the chance to toast marshmallows in the Anglo-Saxon village. There is something for all ages. Karen from Mini Travellers recommends Rock Fish in Dartmouth for the perfect Fish and Chips, you can’t go to the beach and not have fish and chips can you? Or for an altogether swankier affair Trish recommends Noel Corston at NC@EX34 . For me part of travel is tasting great food, check out Trish’s glowing report from this amazing restaurants. Lastly, family travel is amazing but its nice to escape for an hour or two and Bovey Castle offers some great spa packages, perfect if you are travelling with another family. Allowing you to sneak away for a spa evening and a bit of couple or me time. There you have it a great list of things to stay, do, see, eat and chill. Now all I have to do is book.